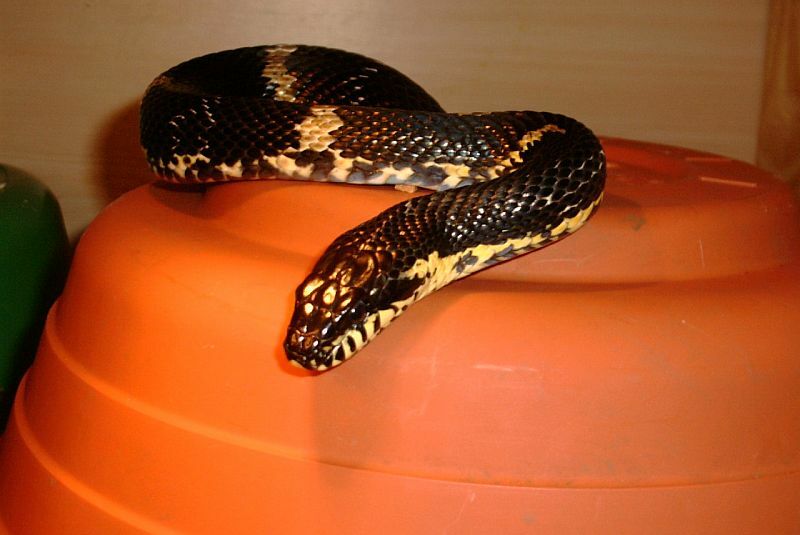 pics of a very nice Russian rat snake. A six foot mellow Russian rat snake makes a great pet snake. There should be more out there in the pet trade. IMHO. Good luck and thanks again. :How do you like my Russian rat? This is my 6 year old male Russian. One of the mellowest snakes I have ever had. He is quite a big boy but still growing. He only sheds four times a year or so but each shed is two or three inches longer than the previous. He is slight over 6' right now.